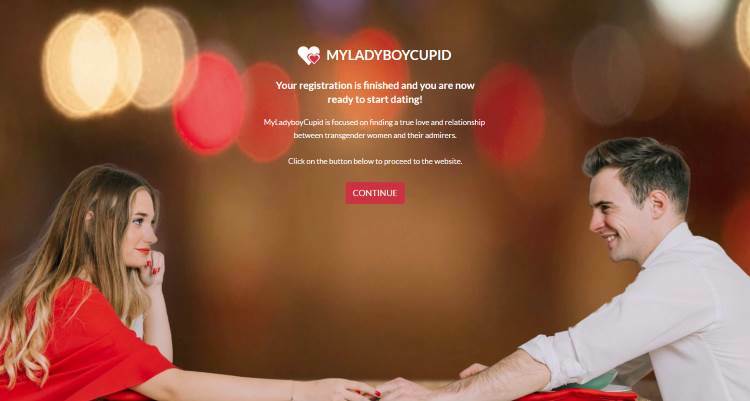 If you are for the first time on My Ladyboy Cupid you first have to register yourself. You register for free and easily by clicking on the "Register for FREE" button in the top right of the screen. Enter the requested information and click the 'Sign up and Create Account' button at the bottom to confirm your registration. If you want you can read through our terms and conditions of use. You can also use your Facebook account to register on our website. Just click on the 'Sign Up with Facebook’ button. You will receive an email confirmation shortly at the address you have registered with. That e-mail contains a link to confirm your registration. Do not receive e-mail? In that case, check your spam and / or the unwanted e-mail folder. Once clicked on the link and your account is activated and you will see a welcome page. 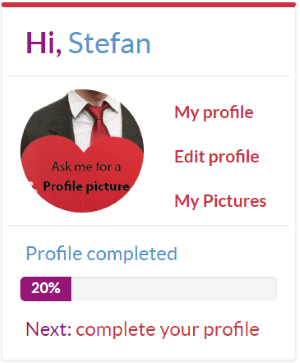 Then click on 'continue' button and go to Edit profile and you can start filling in your profile. and write a short introduction about yourself. At the bottom of the page, you can save your profile.